Toyota's 2018 Tundra is the truck we'll be talking about today, with its 15 miles per gallon in the city and 19 miles per gallon the highway, this truck will really be able to make that gas last! With its large range towing capacity of 6,400 to 10,200 lbs, with that kind of towing you'll be able to tow with the best of them! Or are you looking for some power? 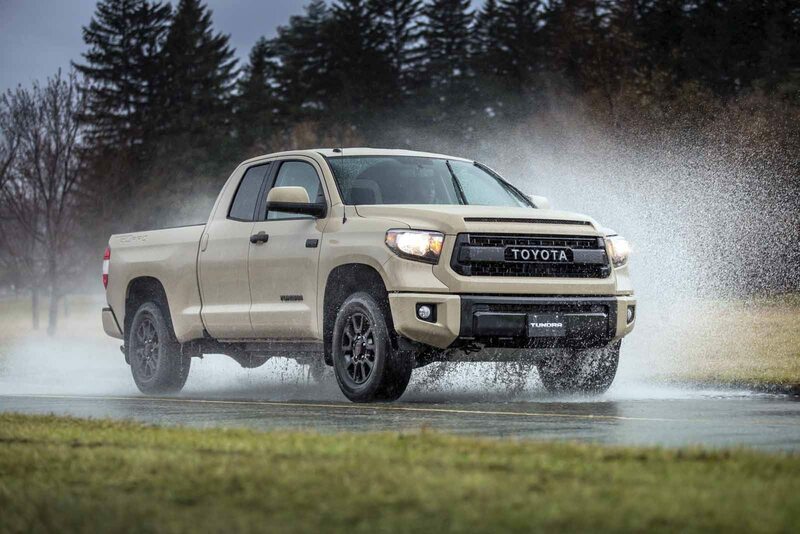 Well the Tundra can very well handle that with a horsepower that goes up to 381, you'll be just another blur of speed going down the streets in no time! Make sure to protect your Toyota Tundra with your very own set of custom seat covers. Toyota's Tundra is a great choice when hopping into the cab of your truck, the power and the ride provided stands above the rest, letting you know that no job will be able to keep you down with this vehicle by your side. Saddleman's custom truck seat covers come in a lot of different seat styles, each seat style is available in Saddleman's full range of fabric choices. Each fabric has its own set of color choices as well. Get your Toyota seat covers and protect your vehicle from the messes life throws your way, while adding a bit of comfort to your already great seats.